When the leaves turn red, orange, and yellow in the Pacific Northwest, my palate throws on an oversized sweater and cozies up with comfort food. Out with lighter and leaner food choices of the summer and in with savory stuffing, green bean casserole, and mashed potatoes. As a vegan, holiday foods can be a bit tricky when you’re dining with meat eaters so I try to create dishes with a high probability of pleasing both sides of the table. 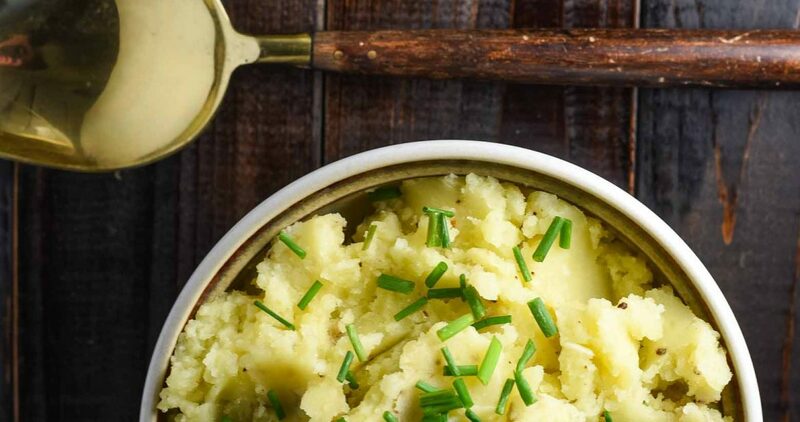 This vegan garlic mashed potatoes recipe is incredibly simple, delicious, and guaranteed to make family and friends of all dietary preferences comfortable. 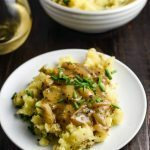 I’m a garlic fiend known to religiously double the recommended clove quantity, and these vegan garlic mashed potatoes are no exception. They’re garlicky, savory, and luxurious. The roasted garlic adds richness to a recipe that might otherwise be a little bland. 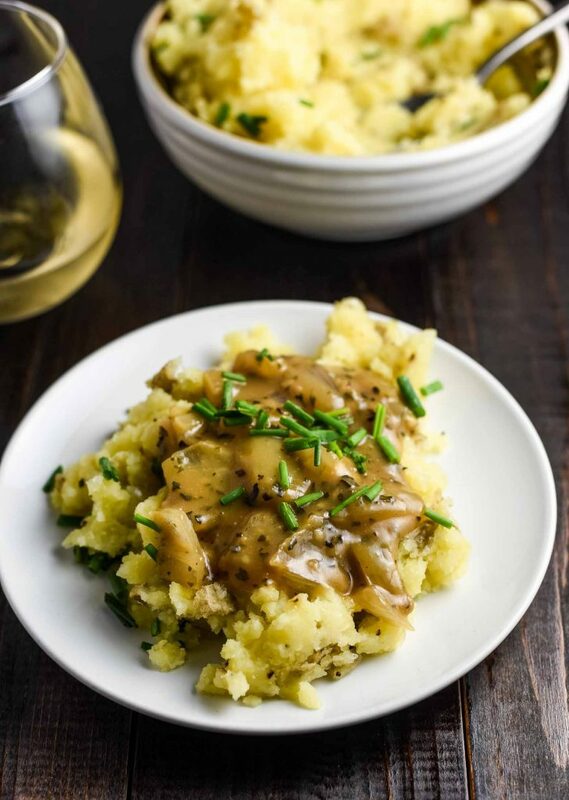 You can pair these vegan mashed potatoes with gravy, or top them with lentils for a hearty protein-packed meal. You can also use them as a side to lentil loaf for a veganized meatloaf and potatoes situation. If you make these vegan garlic mashed potatoes, let us know what you think by leaving a comment and rating the recipe or taking a picture and tagging it #plantandvine on Instagram. Chardonnay: if you want to drink a white wine with your mashed potatoes, it needs body to stand up to the density of the potatoes and the richness of the roasted garlic. Chardonnay, I’m calling your number. Barbera: medium-bodied red from Italy with sour cherry, dried herbs, and licorice flavors. Compliments the savory mashed potatoes and brings some bright acidity to wake up the density. GSM Blend: Grenache – Syrah – Mourvèdre blend with raspberry, blackberry, dried green herbs, and baking spice flavors. Medium bodied red that won’t overpower the potatoes. If you want to learn more about pairing wine with vegan food, check out my wine pairing and vegan wine guides. 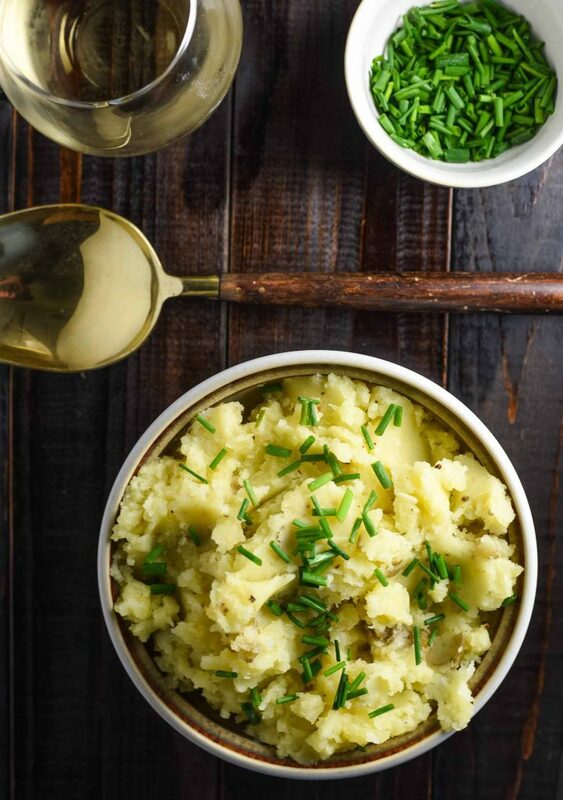 Super simple vegan garlic mashed potato recipe. These are creamy garlic luxury. 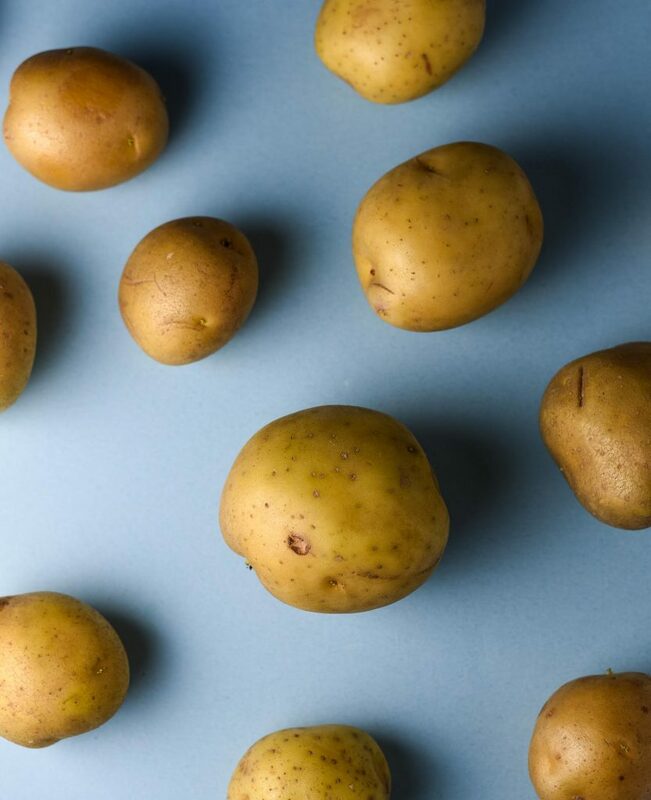 Place potatoes in a large pot and cover with water. Add 1 teaspoon salt. Bring to a boil uncovered over medium-high heat. Cover and cook for 25-30 minutes. The potatoes should slide off a knife without any resistance when pierced. Once tender, drain the water off of the potatoes and transfer to a large mixing bowl. Mash potatoes using a potato masher or a hand mixer until fluffy. If you want creamier potatoes, mash them more. Add butter, garlic, salt, and black pepper. Stir to combine. Taste and adjust seasonings as needed. Top with chives, stir in, and serve. Keep leftovers in covered container in fridge for up to 4 days. *Recipe is a guide, adapt as desired. Adapted from Minimalist Baker.